Some of you might have noticed I haven't painted much lately. 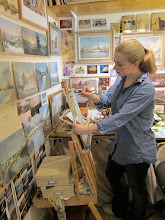 I have been caught in wedding planning duties which is rather fun but it temporarily sent my painting blog to hibernation. However, despite the inactivity, I'm happily surprised to see I have quite a few new followers on blogger and Facebook. 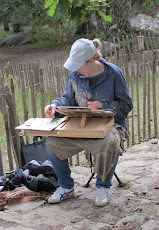 I'm now back at the easel so welcome all of you and I hope you'll enjoy my new posts. 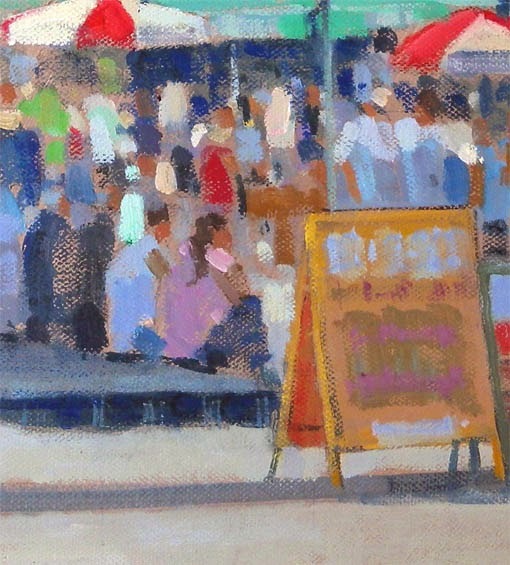 Below is my painting of a summer fair in Brighton. 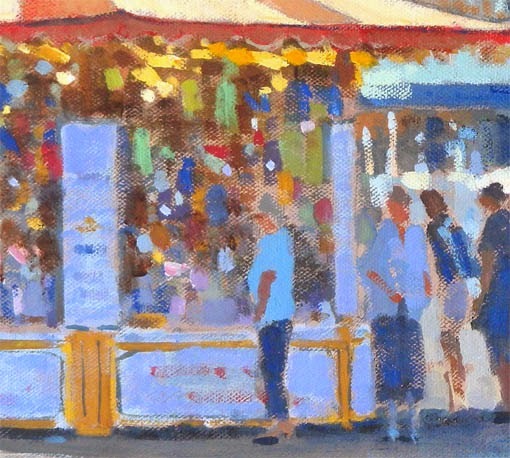 I loved the lights in the merry-go-round and the colourful highlights of people's clothes bathed in sunlight. Below is the original photograph found on www.photos4artists.co.uk. I decided to crop it because I didn't want the merry-go-round to be in the middle of the composition. Here are a couple of close-up details below. Lastly I just wanted to say that I will be doing a joined show in Bradford on Avon on the 2,3,4 May this year. I'll be posting more info soon but you can already save the date! 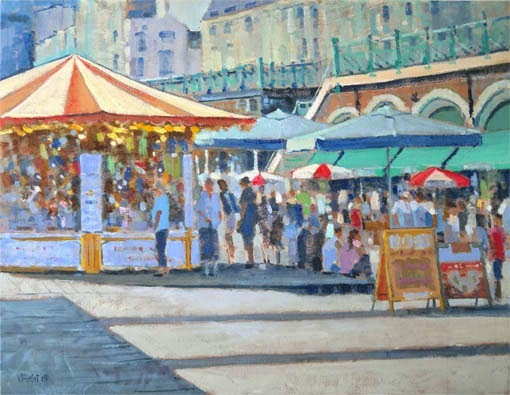 Summer fair, Brighton (oil on board) 18"x14"